Soon Come is a Sunreef 62 able to accommodate up to 9 passengers in 4 large double cabins (one with additionnal pulman) equipped with en-suite bathrooms. 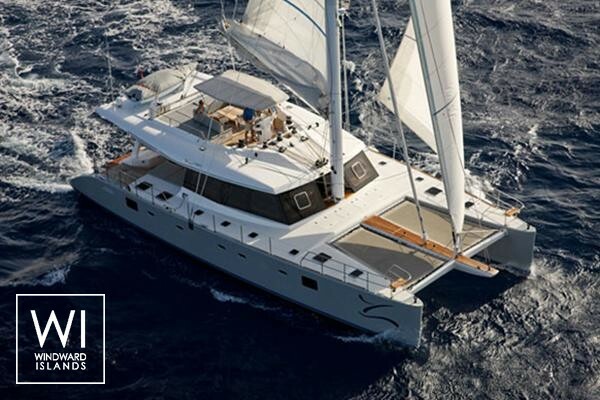 This catamaran is available for charter to explore the Caribbean during the winter and the Mediterranean around Corsica and Sardinia in summer. 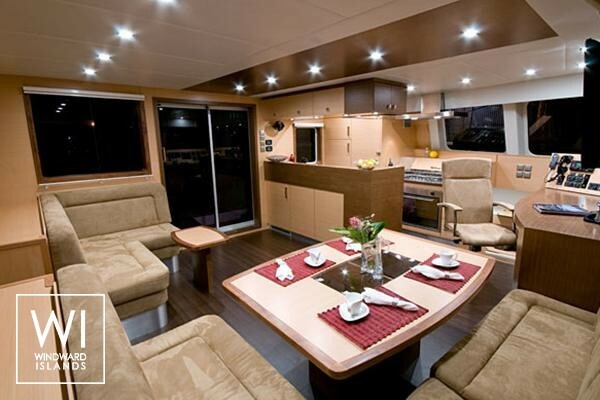 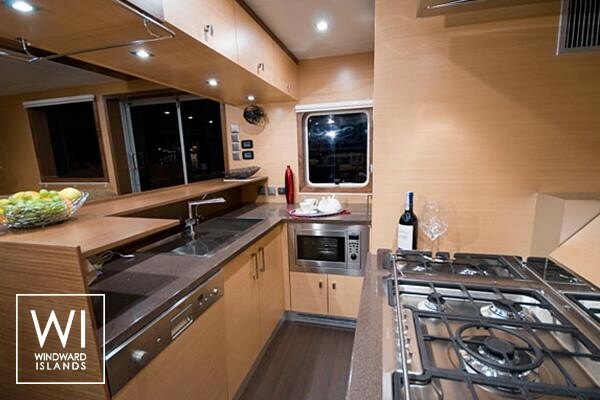 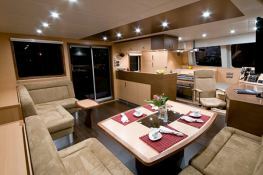 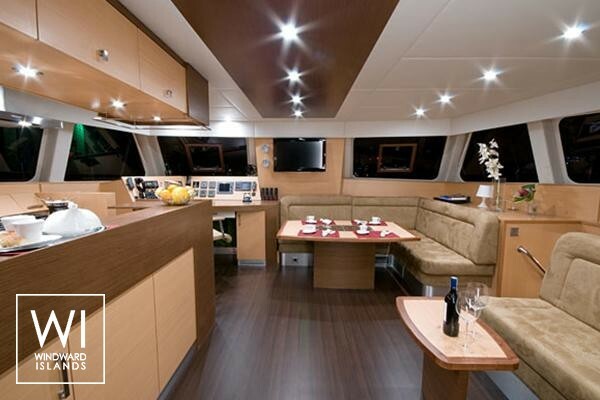 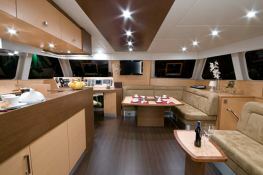 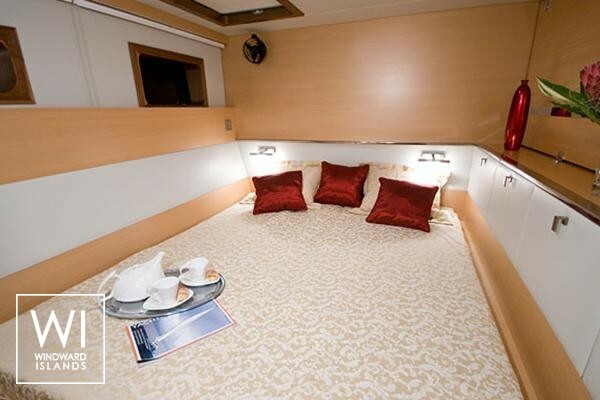 This catamaran, worthy of luxury yachts will of course welcome you in the greatest comfort. Indeed she is perfectly equipped with air conditioning, a huge kitchen, a watermaker, a generator. 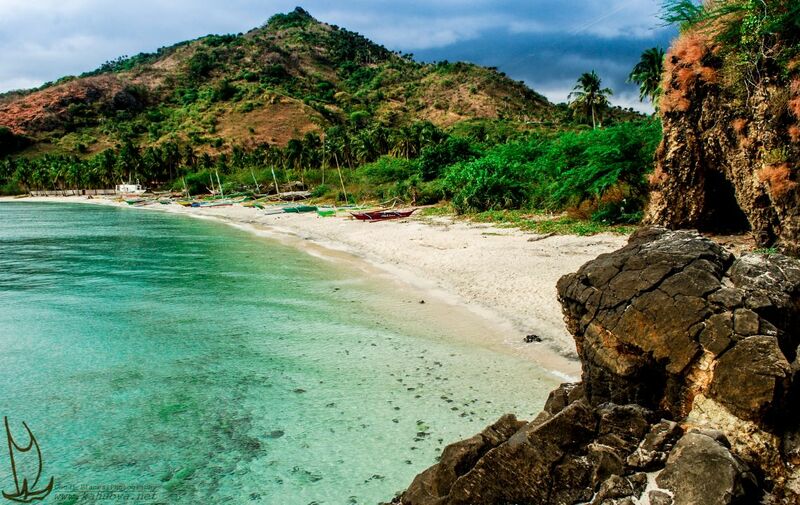 For fun you will have at your disposal water activities such as kayaking, fishing equipment but also inside CD, DVD and home cinema. 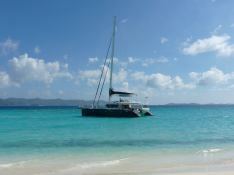 This crewed boat available for charter all year long is the ideal catamaran for sailing in the waters of the Virgin Islands, Saint Martin or the Grenadines in winter but also to discover the wonders of the Gulf of Bonifacio or of the Maddalena Islands during the summer. 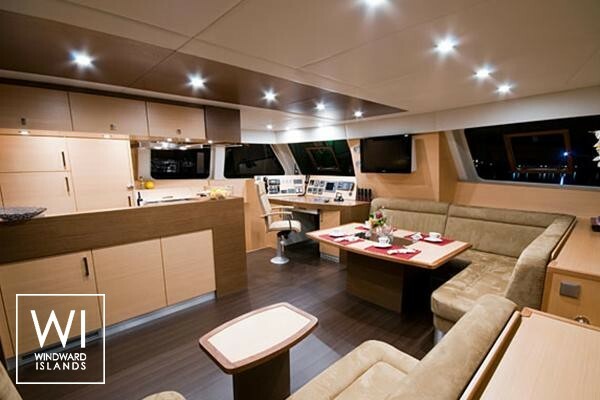 Her crew of two captain and hostess cook will be happy to accompany you during your stay to share their secrets on all these destinations in the Caribbean and the Mediterranean. 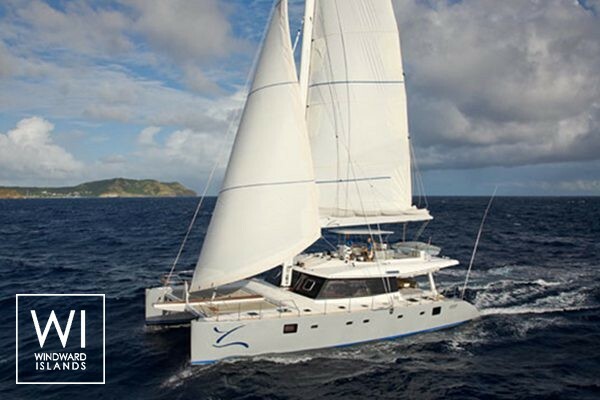 Chartering a yacht such as 'Soon Come' is the certainty of a magnificent holiday with family or friends that will remain unforgettable. 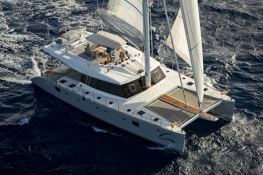 This crewed catamaran is available for yacht charter with a base price of 24 000 € (approximatly 27 066 $).